From the day our office opened, our primary goal has been to provide each individual with the best eye care possible. 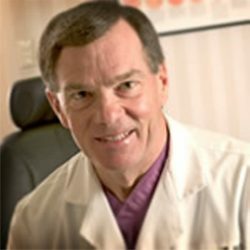 Dr. Parent has been selected by his peers as one of the “Best Doctors in America” and is listed as one of “America’s Top Ophthalmologists”. He is the first eye surgeon in northeast Indiana to perform Custom LASIK, RLE (Refractive Lens Exchange), RELACS (Refractive Laser-Assisted Cataract Surgery) and implant multifocal intraocular implants (IOLs) with these elite credentials. Dr. Parent first performed LASIK in Brazil in 1995, prior to FDA approval in the United States. Dr. Parent is now offering the state-of-the-art Custom LASIK utilizing Wavefront Analysis Technology, at a reduced cost -which is comparable to our competitors’ Conventional LASIK price. Custom LASIK has shown superior visual outcomes, including a reduction in night-time glare and halos compared with Conventional LASIK. The new multifocal IOLs offer the possibility of seeing well at more than one distance, without glasses. In fact, the majority of patients do not need glasses after the procedure. Dr. Parent was one of eleven ophthalmologists in the United States (out of 17,500 ophthalmologists) who participated in the national study leading to FDA approval for the first multifocal IOL and the first surgeon in the Midwest to implant a multifocal IOL. Our associated surgery center, The Eye Surgical Center of Fort Wayne, is the first surgical center in the area devoted exclusively to eye care. J. Rex Parent, M.D. is a board-certified ophthalmologist specializing in cataract and refractive surgeries in Fort Wayne, IN and Northeast Indiana. We would be happy to schedule a comprehensive exam or free refractive surgery screening, as providing the best patient care is of extreme importance to our practice. actually see better than I ever did with contacts or glasses. Thank you! It was the best thing for me to have done. I tell everyone about it. Dr. Parent makes the whole experience better. He treats people so well. I was nervous, but the surgery went quickly and before I knew it, I was done. and the level of professionalism that they all displayed. Thank you! without having to worry about being tied down to glasses or contacts. No pain, very little discomfort. I kept my eyes moist and they healed nicely. I was very nervous about this elective procedure. Your people talked me through it. I would not trust my eyes to anyone else. Dr. Parent and his staff are perfectionists (exactly what you want when it comes to your vision). Thank you for improving the quality of my life!